Shin Megami Tensei games have typically always let you collect demon minions which you can then use in battle, ala Pokémon. You can "fuse" these demons to make new ones, but that's typically a solitary affair. In the upcoming Shin Megami Tensei IV, other players will allow you to perform special fusions via Streetpass. Streetpass is is a 3DS feature which allows 3DSes to communicate with one another and exchange information, even if the 3DS is in sleep mode. Players exchange Digital Devil Service cards over Streetpass. These show your character’s level, a demon you select, and a canned message. When you exchange cards with other Shin Megami Tensei IV samurai you might be able to do a special kind of fusion. As an example, Siliconera cites the adorable Jack Frost, who can acquire a black card which can then trigger a fusion that changes him into "Shemhazai." It's kind of like trade evolutions in Pokémon, except you don't need to exchange your minions—just cards. Which sounds better, frankly. 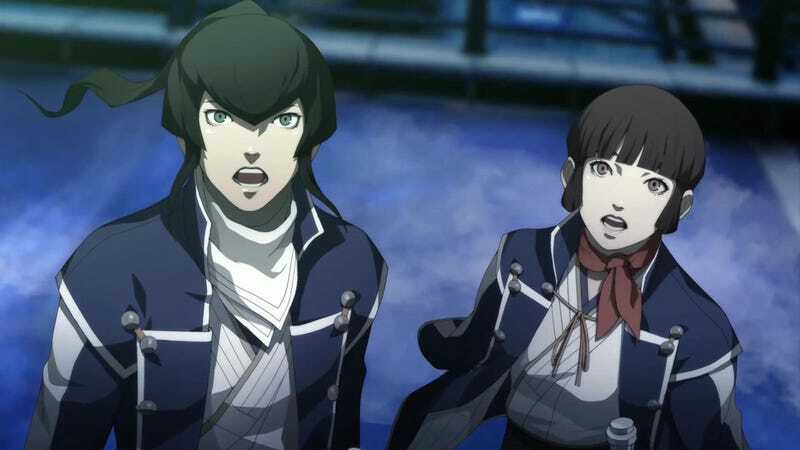 Shin Megami Tensei IV releases this summer for the 3DS in the United States.